The United Nations Environment Programme (UNEP) is taking on a higher profile among the UN’s sprawling organizational framework as an ever greater number of wild species and ecosystems are at risk due to human population growth and the myriad and unprecedented impacts we are having on the Earth’s biosphere. A cross-section of world leaders, including “hundreds of environment ministers, decision makers, scientists, civil society representatives and business leaders,” are gathering in Nairobi, Kenya this week to launch a new branch of the institutional framework for world environmental governance. Convening of the inaugural UN Environment Assembly (UNEA) marks the inception of “a new world body that places environmental issues at the heart of international affairs and provides fresh impetus to tackle growing global challenges,” UNEP explains in a press release. 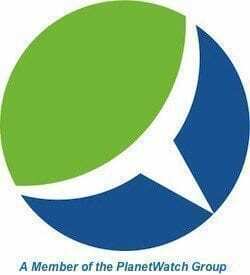 Adopting the theme, “A Life of Dignity for All,” the inaugural UNEA for many marks “the coming of age of the environment as a world issue, as it places environmental concerns on the same footing with those of peace, security, finance, health and trade for the first time,” UNEP states. Among the many events taking place at the first UNEA, UNEP released its biennial performance report for 2012-2013. 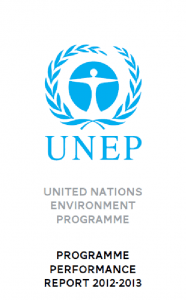 The UNEP Programme Performance Report 2012-2013 includes a status update and assessment of all the climate change-related initiatives, programs and activities in which UNEP is participating. The world community’s principal agency for promoting ecological health and sustainability, UNEP has a strong vested interest in climate change mitigation and adaptation. It’s efforts in this regard are deep and far-ranging, encompassing building the capacity – among less developed nations in particular – to incorporate ecosystem-based approaches into the mainstream of national governance and institutional frameworks, and to craft and implement national climate change mitigation and adaptation strategies and plans. Science and outreach: to increase access to climate scientific assessments and information. Expanded a parallel clean energy finance program that will result in the installation of 140,000 solar water heaters in Cape Town, South Africa, as well as homes and businesses in Tunisia, Egypt and Montenegro. Reducing deforestation is another key focal point for UNEP, one that directly impacts climate, climate change vulnerability and risk management. Implemented jointly with the UN Food & Agriculture Organization (FAO) and UNDP, the UN-REDD (Reducing Emissions from Deforestation & Forest Degradation in Developing Countries) supports efforts to conserve forests and make sustainable use of forest resources by supporting REDD+ readiness efforts in 48 partner countries that collectively represent 56 percent of tropical forests worldwide. Seventeen are implementing REDD national programs that are moving into their implementation phases.